编码： 9780977951246. 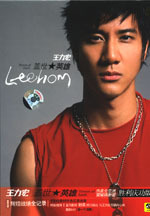 分类： Education, Music, Pre K-8 Mandarin. 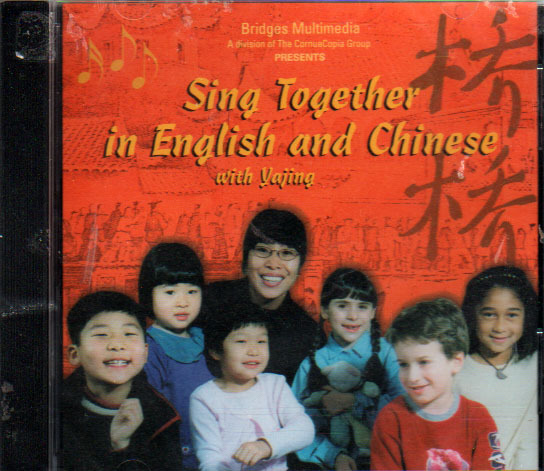 Introduces simple words, phrases and the tonal sounds of Mandarin Chinese to preschool age children. Bao Bei, the lovable panda puppet and Chu Chu the cricket teach Mandarin Chinese in a fun and entertaining manner that encourages learning. 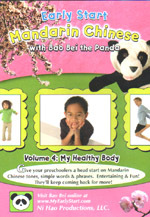 This DVD teaches the names for basic body parts, along with phrases related to hearing, seeing, touching, and smelling.